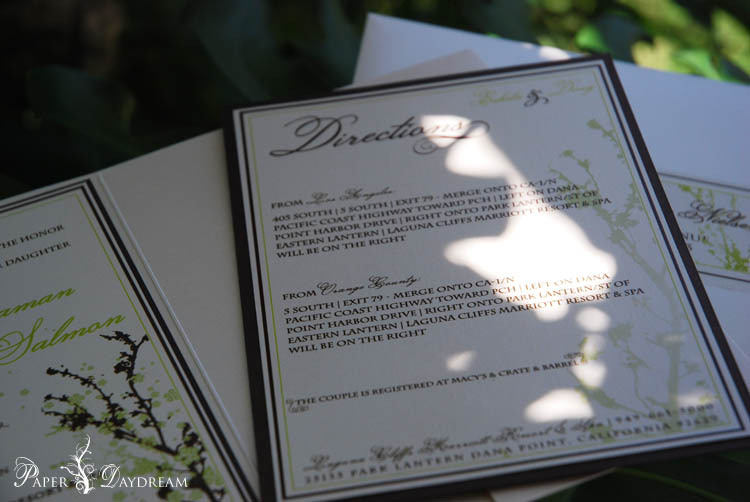 When we met with the bride and groom to design their wedding invitations, we immediately understood the ‘look’ they wanted. 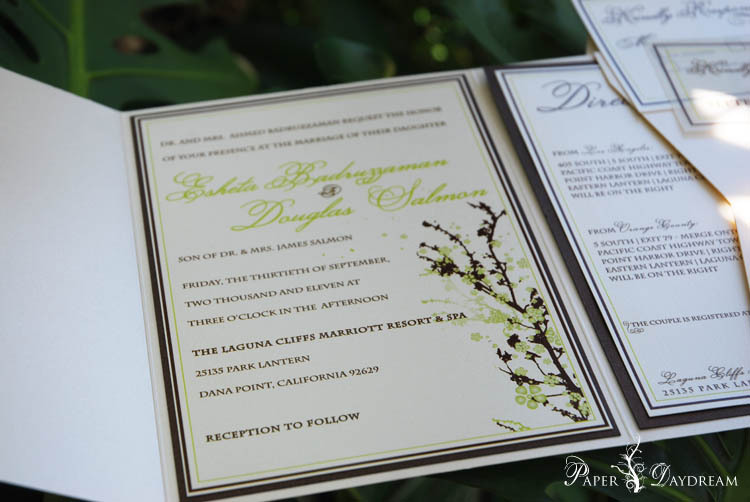 Understated organic luxury, with a very specific color palette chosen by the bride. 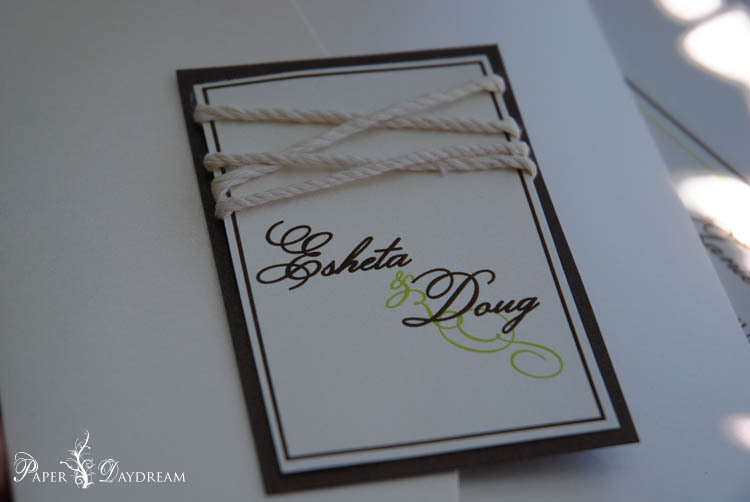 To go that extra mile and embody that luxurious eco-chic style, we used recycled metallic card stock, and 100% cotton twine for the ultimate textured contrast and dimension to subtlety convey Esheta & Doug are tying the knot. 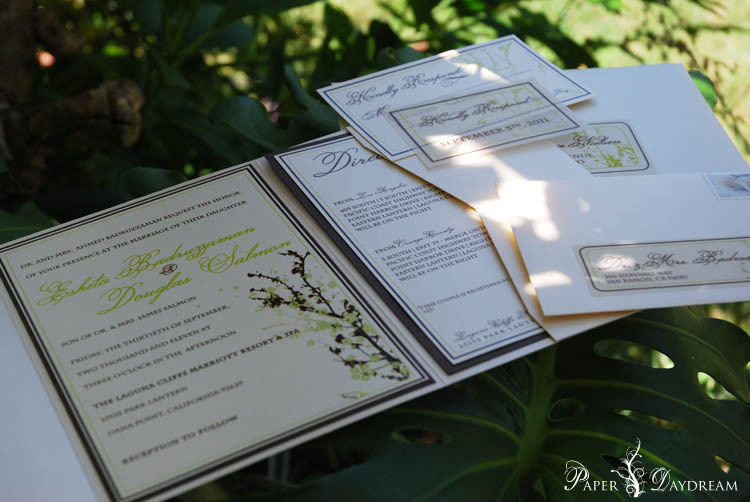 Additionally, we used sustainable green printing, which eliminates harmful chemicals and reduces energy usage with efficient equipment. 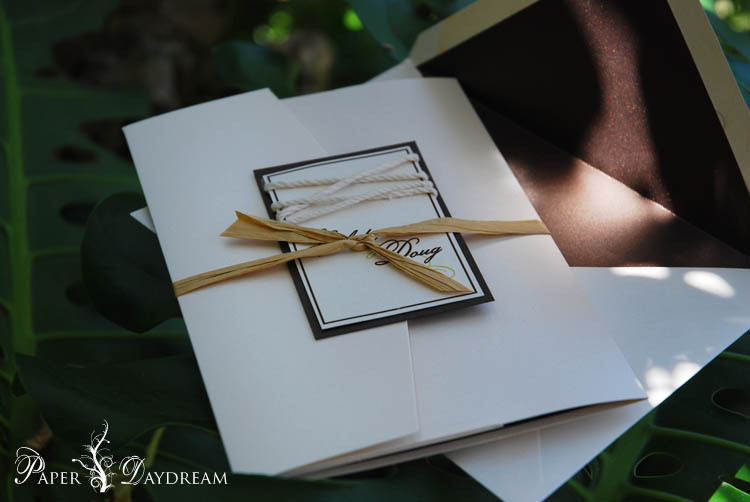 Each were then sealed with a simple raffia ribbon in natural kraft. 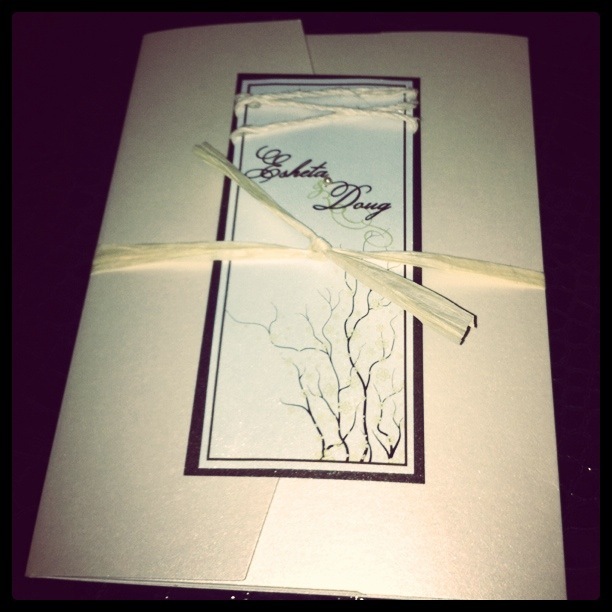 We spent hours refining the twig and blossom design until the bride was satisfied! 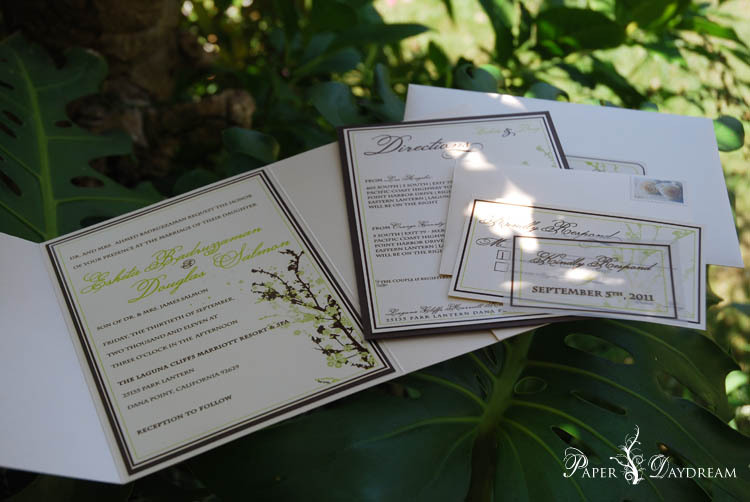 The original concept used a sage green in lieu of the apple green you see below, which matches the bridesmaids dresses. 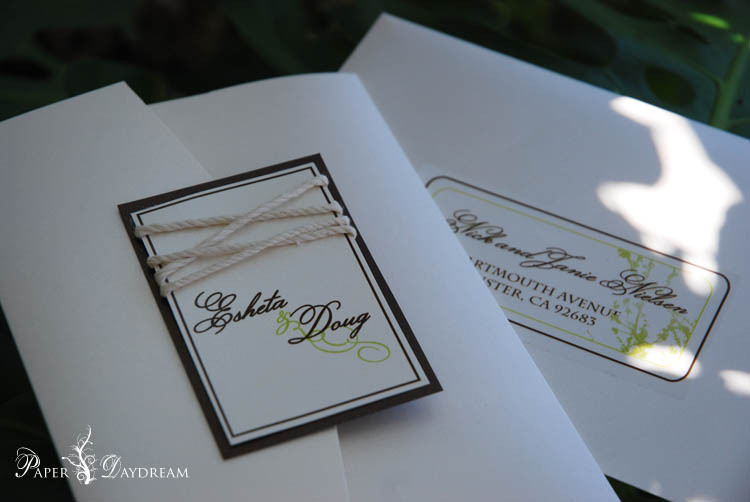 I actually prefer this shade of green with the rich ivory and chocolate brown. 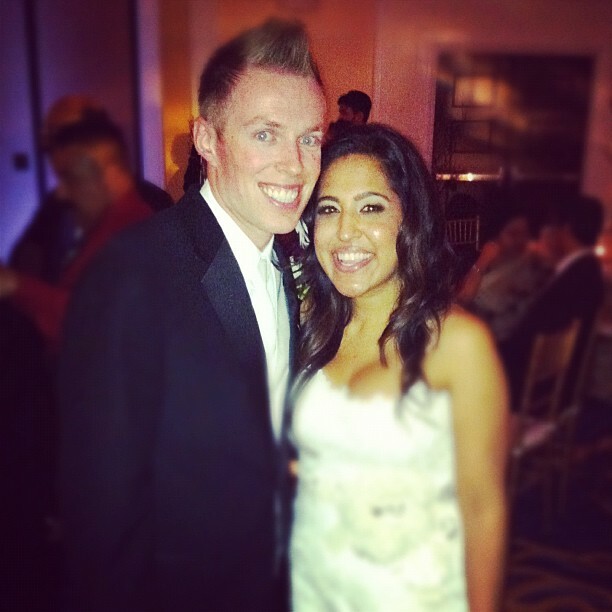 We’re looking forward to the wedding today on the beach! Original Prototype with Pearl Embellishment and longer outer seal, with a different rendition of our twig & blossom design.